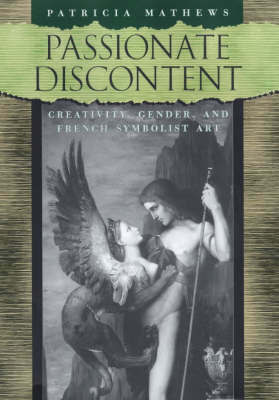 A study of the relationship between gender and genius in late-19th-century French Symbolism. Born in an era of crisis, the Symbolist art movement was characterized by withdrawal to a mystical, anti-bourgeois world of the mind and spirit. While Symbolists idealized the "poete maudit", a creative, mad genius exhibiting an emotional state of heightened awareness and "passionate discontent", female artists displaying similar symptoms were dismissed as hysterical. Art historian Patricia Mathews traverses the artistic, social and scientific discourses of "fin-de-siecle" France in order to illuminate the Symbolist construction of a feminized aesthetic that nonetheless excluded female artists from its realm. Along the way, Mathews proffers readings of the art of such Symbolists as Gauguin, van Gogh and Moreau, as well as that of their female contemporaries Camille Claudel and Suzanne Valadon.